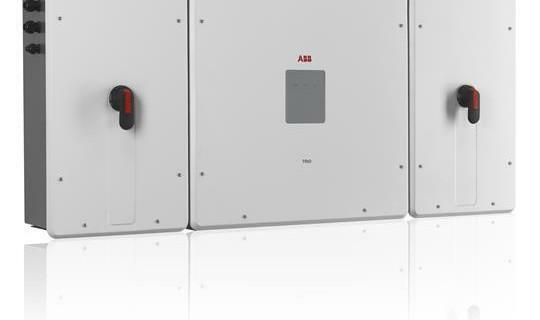 The new TRIO-50.0 inverter is ABB’s three-phase string solution for cost efficient large decentralized photovoltaic systems for both commercial and utility applications. It combines the performance and price advantage of a central inverter with the flexibility and ease of installation of a string inverter. TRIO-50.0 has a landscape modular design to guarantee maximum flexibility. The separate and configurable AC and DC compartments increase the ease of installation and maintenance with their ability to remain separately wired from the inverter module inside the system. The forced air cooling system, designed for a simple and fast maintenance allows for the maximum flexibility of installation.